So last week I was fortunate enough to attend a blogger briefing with Eric Wright prior to VMworld 2016. I hadn’t heard too many of the rumor prior to the event and to be fair I am still on the come down from vDM that I had been working on with Eric already. I have recently had a great demo of the solution prior to this announcement and I loved the way it could monitor my environment be this on premise or cloud. So when Eric released the name I was a little confused at first but actually I the more I think about it I think they have got it right… Their product doesn’t just monitor a VM its the whole application/life cycle with it providing an ability to make intelligent decisions on trends and stress that are unique to your environment. turbo– They have retained the faithful green circle from the VMTurbo era which can aid with the brand loyalty. I have seen plenty of rebrands where there is a major switch and this can lead to confusion. Turbo also relates to real-time performance of the product of which I believe is key to the organisation and they have not lost sight of this. 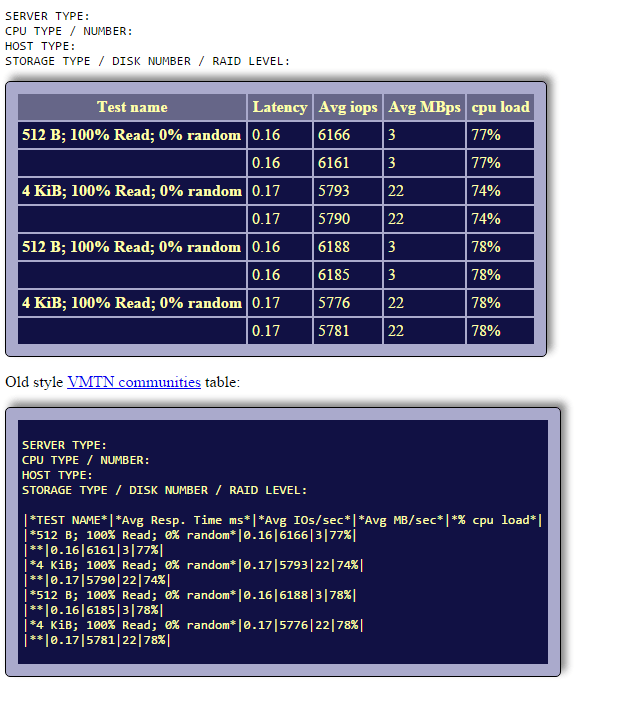 nomic– This I had to wait for Eric’s explanation and also Chris Bradshaw‘s great blog post. This appears to come from the Autonomic Control that their product offers providing an ability for the systems to manage themselves in realtime and being application aware of which many of the virtual platforms systems out there have no intelligence on this. They just see RAM, CPU or disk usage and don’t also look back at historic trends for comparisons. The 2nd is economy you are getting out of your current system, have you over provisioned systems and wasting space and even money on cloud resources. With all these controls it allows you to better manage your environment and maybe even prove the requirement for growth in areas that are not usually spotted. I am yet to try the product in my own environment but I am hoping to as part of a new blog series I am working on. From all of this and what I have been informed I can have a more intelligent environment of which I don’t have to balance the loads all over the place with it just becoming a thing of the past. Thus allowing me more time to get on with better and more interesting things within my environment. I believe it will also give me to opportunity to better forecast for when I will need new hardware within any of my environments. I can also hopefully resize my lab environment as I am sure I have over provisioned VMs and this will let me know where I can pull back some of my resources. If I can get all the stuff working that I saw in the demo all I can say is I will be a very happy sysadmin and I can only see this aiding more sysadmins out there. So I wish turbonomic the best of luck and hope their re-brand does what they want it to. I have also heard that they should be giving away some nice goodies over at the stand at VMworld if you are fortunate enough to make it there! I thought I would write a quick blog post about PernixData and their freedom product as I have used their full version in a POC and was blown away by the performance gains I got. Safe to say my expectations were high. The main reason that prompted me to use this was not only for the performance gain but it was also for the graphing that helps out with day to day performance monitoring which can help assist you in isolating any issues. Firstly I know the two storage appliances we have in the environment that we were linking this to should have not been having the issues that we were experiencing but I wanted to get to the bottom of it. I was sure this was a networking issue or profile but our users were most upset and frustrated as their VDIs were slow. I know the one storage appliance being used to accelerate this work load should be able to do sub 2ms and lower performance but this was more in the region of 45ms! Once you have done all your installs and rebooted hop yourself into the PernixData console, you of course will need to make sure you have pointed this at the right VMware cluster if you have a few. Now get ready to screenshot some baseline stats! I will elaborate on this more later on but the logs are only kept for 10 minutes so ideally you want to get the stats a few minutes after the product is in. Then try and get this during peak times such as log ons and off and repeat after a day or two. This really helps you analyse your baseline with some good solid ammunition to provide to your board/steering group into why you would upgrade to the full version if you do need write saving too. I say this from experience as I really wish I knew the magic number of what IO and latency this saved us as the product gets to work straight away within reason. At this point I thought I would log on and off a few times to see if the performance got better and well yes it did. To try out my theory I tried a good old IOMeter test and well the results were more than surprising with the fact this product is FREE!! As you can see I was pushing close to 4195 IOPS from one VM and this is what the VM Observed too, the best bit is the data store never really peaked above 500iops and latency was well within tolerance. What happens if this isn’t enough?? Well all I can say is I suggest you also take advantage of the Architect trial available whilst you are setting this all up. Why you ask, I say easy response to that is that you get all the stats you need to justify ever upgrading if you need to. Within 8 hours it starts to provide some recommendations and even if you need to upgrade to the full version. As you can see from my screen shot I would benefit from this on two VMs as they have write heavy workloads . It also shows me what is going on with the block sizes just in case I have set some of these wrong. I also saw a little spike at lunch but this appeared to then go into the cache, maybe a bit of lunch time surfing caused this. On a positive note the read cache limited the impact to two of our busiest persistent desktops sub 2ms again! During this time I got a little excited from the savings and decide to run some tests at the same time and all I can say is WOW, no impact to the other users and look at the performance I got. The overall limit really makes this product a sweet spot for 3 hosts only maxing out at 128GB cache. So would I implement this product again? Put simply yes, yes I would. I’d question why wouldn’t you? Its free and when not many things in the IT world are and your users will get some form of better experience why wouldn’t you. This could be a DBA report running a bit better, VDIs being accelerated on login and maybe even their mailboxes just being a little more responsive if you put this on Exchange. Just get on and install it! I am still looking at the back end and verifying the gold build and network as I now know its not the storage causing this issue directly. I am sure this is something to do with the roaming profiles as I know both the storage appliance we are using can perform much better than they are. Basically Pernix Freedom has kept my users happy, me happy and given me more time to find the root cause without any impact. I am hoping to compare this to their full product over the coming weeks once I can get a separate lab up and running to cross compare results. Update:- Just thought I would add a video as I still can’t believe it myself. I know this isn’t real world data but if it can do this it should be able to cope with a fair amount of users all logging in and reading data from an image! You of course will also need a compatible GPU but I found that a Quadro K2000 I had access to did more than an ample job to prove this in concept. 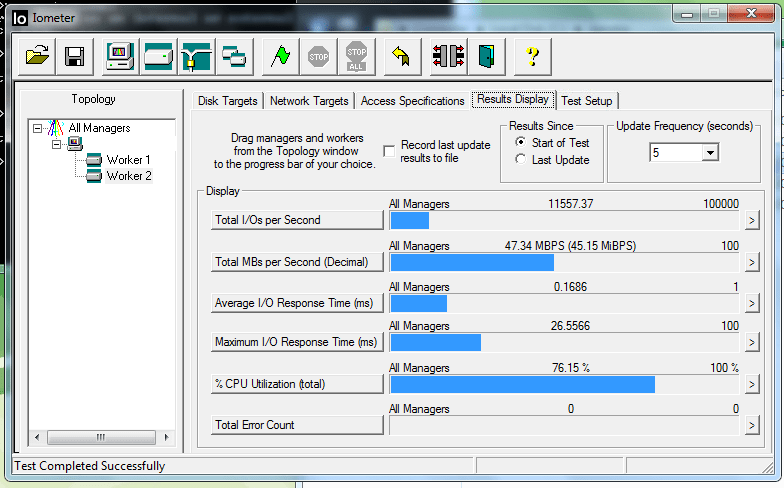 I ran this very brief POC on a HP DL380 G7, VMware 5.5 and a small iSCSI RAID 5 LUN and got these results. I would be amazed to know what I could have got with more tuning and an SSD or two. As you can see it got around 120FPS at points so pretty good going. I am going to do a full post on the 10Zig clients as well as they put simply they rock and I would like to test them further. I would love to do a true show down of RDP, PCoIP and also Citrix. From this it would be good to see how Citrix XenDesktop compare against VMware Horizon in a head to head app demo. I did try a few other older games but I had issue getting them going but either way it’s an interesting notion that you can get full 3D graphics from your data canter. Maybe this is also a good way at last to get some of your Adobe fans (Also Mac users) within VDI as you can at last really provide them a true GPU and support. It also can hopefully satisfy your DR plans as who has a Mac spare or a high end graphics machine for when disaster happens! *These views are my own and may not be the same as my employer.